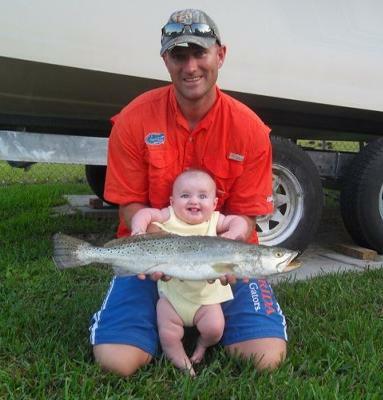 This was the 1st time our 6 month old daughter came out on the boat fishing with us in Panama City, Florida. My husband and I decided to try a few new fishing spots just so we wouldn’t be too far away from the boat launch since we had our baby girl, Brinley, with us. 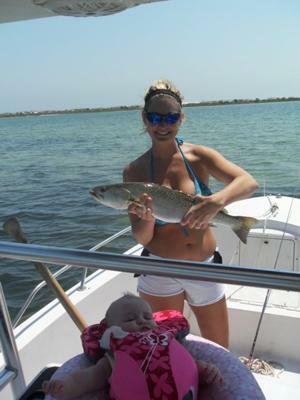 What a great idea that was – she proved to be our fishing good luck charm! After an amazing day of slamming trout one after the other, we caught the biggest one yet - 26 incher! Over 5lbs of speckled beauty! 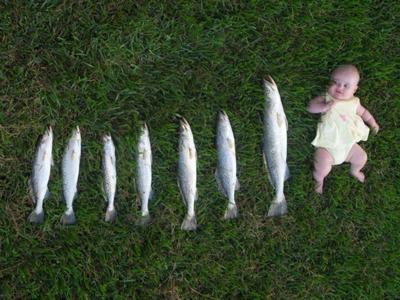 This will be a memorable fishing trip for my husband and I, and a great story to tell the little one when she is older. Fishing makes memories. Join in and write your own page! It's easy to do. How? Simply click here to return to Trout Pictures.